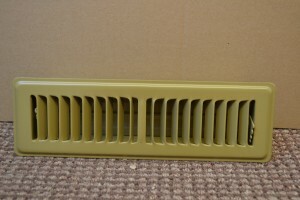 Type 22FD is a Floor mounting supply diffuser with a foot operated damper to open and close. No fixing required as they just sit on the floor. Standard colour is beige. Also available in white, satin silver or gold finish at extra cost. Made from 1.2mm mild steel. 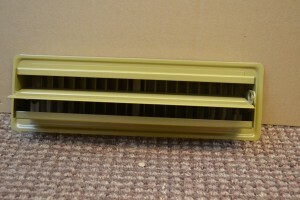 The louvres are centrally split both left and right and set on an increasing angle deflection to provide a good discharge of spread of air.